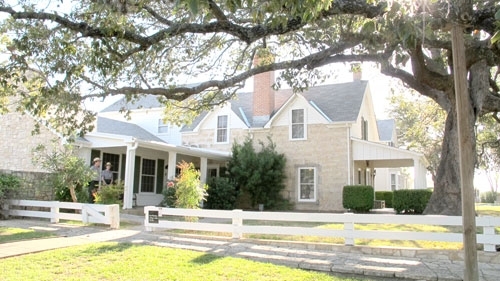 If you are following our series on straw bale gardening. You are right in the middle of planting and starting seeds! 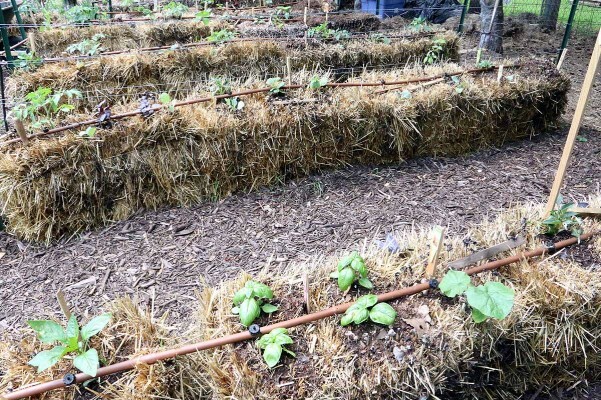 Live Dan330 has collaborated with Joel Karsten, author of the New York Times best selling book, Straw Bale Gardens, to bring you a series of tips for straw bale gardening. Here is a guest post by Joel on planting a straw bale garden. Hear what he has to say about whether to start your garden with seeds or potted plants. Once the straw bales have been conditioned properly for 10-12 days they are ready to plant. It is possible to direct seed many crops right into the straw bales, but other crops perform best when planted from pre-started transplants. To plant seeds, it is crucial to first make a seed bed on top of the bales. 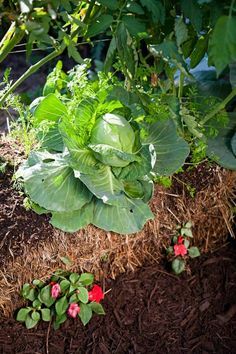 DO NOT use a shovel of soil from the garden nearby, as that top soil will probably contain diseases, insects and certainly weed seeds that we are attempting to avoid by planting into the brand new soil we have created as the straw bales decompose. 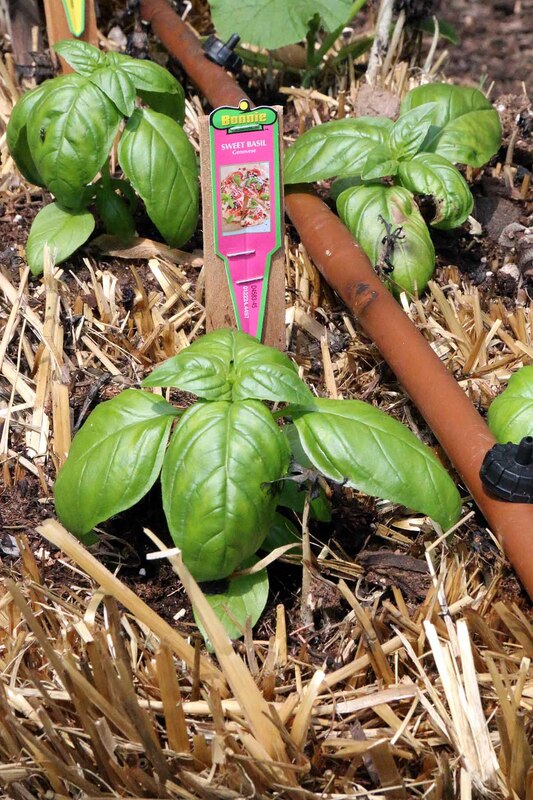 Purchase a bag of sterile planting mix or potting mix from your local garden center, and “frost the cake.” Cover the top of the bale that you plan to plant with seeds with 1-2” of this sterile planting mix, and tamp it down with your hand or a flat board. Use the suggested in-the-row seed spacing from the back of the seed pack to push seeds into this “frosting” layer in a checkerboard pattern. Don’t make rows, but instead stagger the seeds like every white square on a checkerboard. The panting mix and seeds should cover up the soaker hose, and now when the soaker hose turns on, the moisture will bleed over and keep the entire seed bed nice and moist. Covering the newly planted seedbed with some protection will keep any passing “gully washer” rainfall or passing livestock (rabbits and deer) from wreaking havoc on your tender seedbed and emerging seedlings. 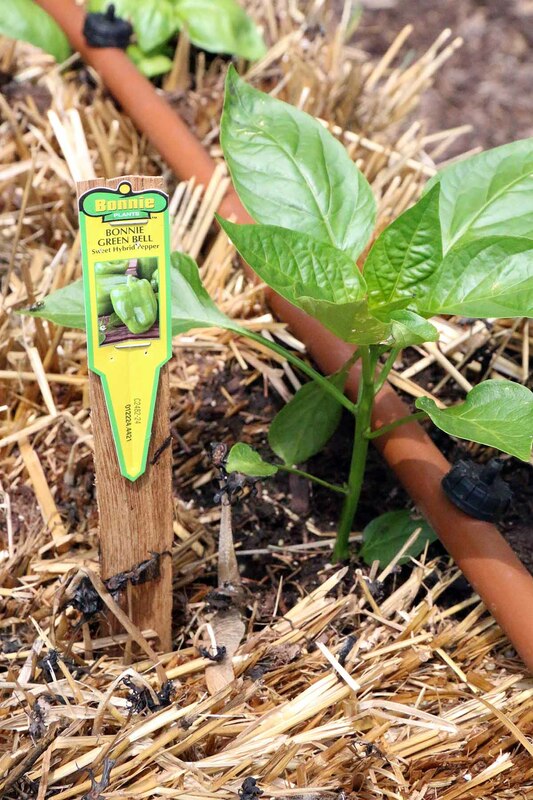 Skipping the seedling stage is desirable for some plants, particularly those crops with a long growing season, in order to assure that the crop matures early enough to avoid an early frost. 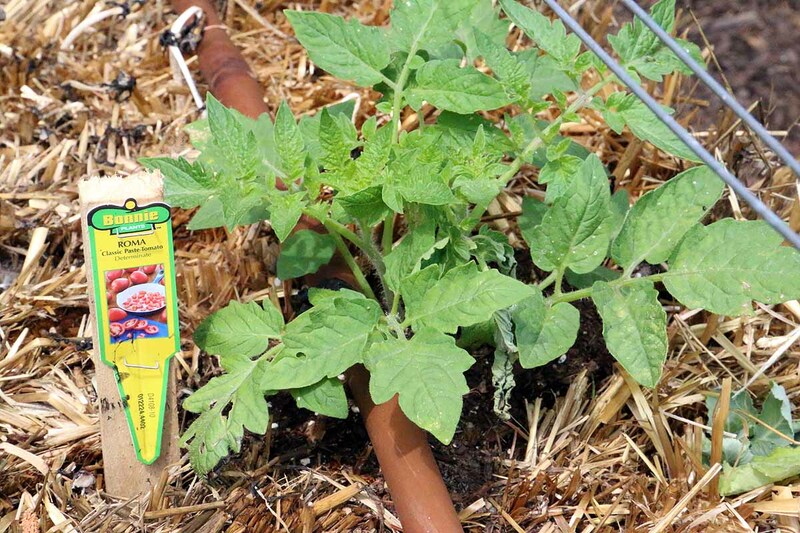 Tomatoes are a great example as many varieties have a long “days to maturity” requirement, so most folks start these seeds a couple of months before the last spring frost, or just buy the starts from the local garden center. Make a hole in the bale…easier said than done in some cases, especially if the bale is very tightly baled or highly compressed. Sometimes it works best to use a simple kitchen pliers to pull a couple chunks of straw out of the bale to get a hole started. Remove the pot and plant the transplant into the bale, and backfill if necessary with some of the sterile planting mix to cover an exposed roots. There is no need to “dig out a big huge hole and fill it up with dirt first” as others will suggest, which is actually defeating our purpose of sticking with a sterile straw bale and virgin soil. Adding a shovel of dirt brings along disease, insects, and weed seeds, and that brings along all the headaches we are attempting to avoid with this method. Whether planting a straw bale garden with seeds or using transplants, it is important to keep them consistently moist. Most seeds will sprout in just days, and transplants will quickly establish roots that will penetrate deep into the loose bales. Deep roots mean more durable plants later in the summer when the heat comes they can draw moisture and fertility from a deeper reservoir. If you can’t wait for more tips we have Joel’s book available for you to buy now. 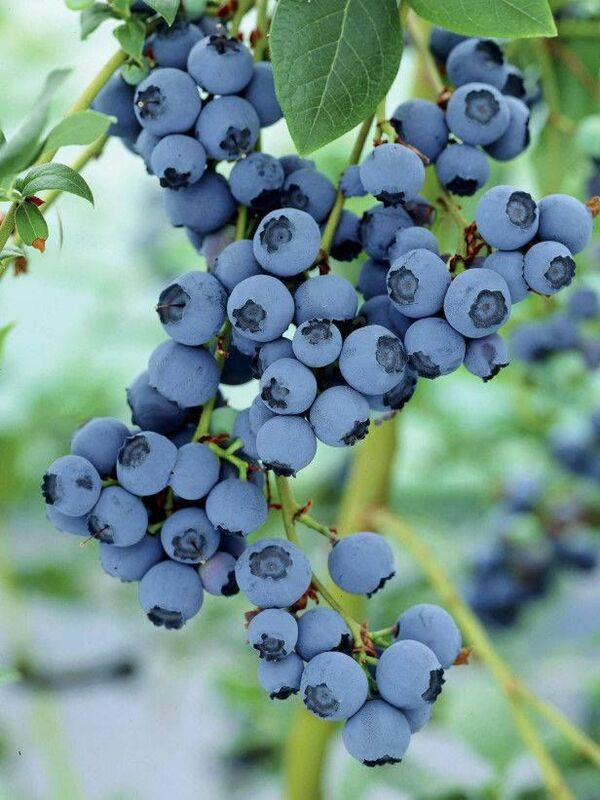 Love cooking with Blueberries? Grow your own.